Vienna has long been a leader in public housing, and 60 percent of its current population lives in city-built residences. 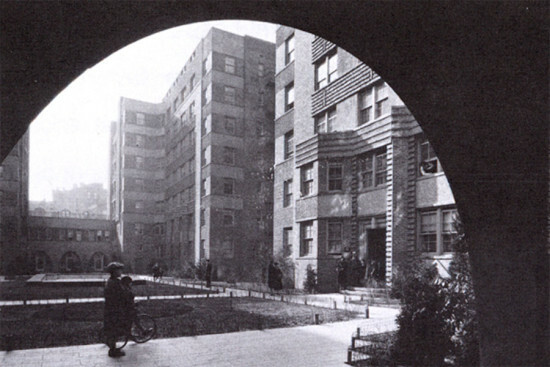 The grand socialist Hofs of the late 1920s, like the Karl Marx and George Washington, have long been influential for affordable housing advocates. But Vienna is still building, following on its socialist tradition that has continued to build innovative housing up to this day. In August the MAK Center for Art and Architecture at the Schindler House in West Hollywood, California, is hosting an exhibition that features recent public housing from Vienna. 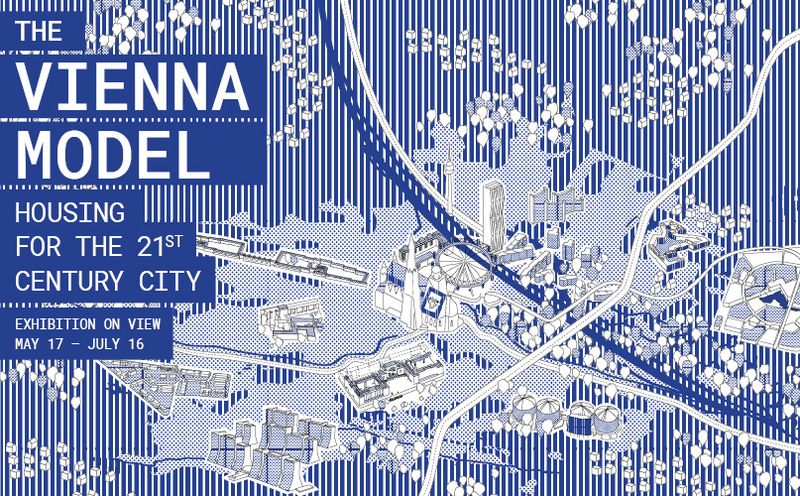 The Austrian capital has become a creative center in sustainable planning and housing policies. The former director of Vienna’s Department for Housing Research, Wolfgang Foerster, who oversaw extraordinary housing achievements in the city, has just launched PUSH, an online quarterly newsletter on urbanism and housing. A clearinghouse for housing information, the journal is inviting architects to submit projects on public and affordable housing. There is currently nothing like PUSH, and it should become an important clearinghouse for information on housing. [UPDATE, 5/15/2017. This article originally stated that the exhibition opens the evening of Tuesday, May 16. It opens to the public on May 17.] Here at The Architect’s Newspaper, we have many friends and readers in Vancouver. We hear from you when we report on your region. Now I will be in Vancouver next week for the opening of an exhibition, The Vienna Model, that I co-curated with Wolfgang Förster. It opens to the public on Wednesday, May 17. The exhibition details the rich history of that city’s experiments in housing since 1927 but focuses on the extraordinary new residential typologies of the past fifteen years. The exhibition design—created by Vancouver residents Sabine Bitter, Jeff Derksen, and part-time Canadian Helmut Weber—will be at The Museum of Vancouver through Sunday, July 16. Click here for more details. John Fraser will receive an Eames Plastic Chair from Vitra for his winning image and his photo will be on display alongside 9 entries that were shortlisted. There was an additional contest determined by voting on Facebook, won by photographer Pia Odorizzi after her photo accumulated 245 likes. Odorizzi’s photo will be displayed for two days on the 2,254 Info screens throughout Austria, which entertain more than 1.4 million viewers each week across Austria’s five regional capitals. A new exhibition Friedrich Kiesler: Life Visions at Vienna’s Museum of Applied Art (MAK) sets out to make the case that the Austrian-American architect is one of the most important and influential designers of the 20th century. It claims that “since the beginning of the 21st century,” the perception of Kielser has changed from a “primarily architectonic” one to an artistic one; this is the view it wants to correct. It is true that, as an architect, Kiesler does not often get his due. He created, for example, his futuristic urban composition City in Space (recreated in full scale for the exhibit) as a stage set for the 1925 Paris ‘Art Deco’ exposition which also featured Le Corbusier, Konstantin Melnikov, and Alexander Rodchenko, but he is not often placed on the same level as these architects. Philip Johnson called him "the best non building architect in the world" to which Kiesler apparently responded that Johnson was "one of the best building non-architects of our time." But Hani Rashid, President of the Kiesler Foundation (and co-organizer of this exhibit), claims that Kiesler is the single early modernist figure that pushed design forward into the 21st century. Kiesler immigrated to New York in 1926 but was educated at the Vienna Technical University in the early 1920s. The Secession and Weiner Werkstatte were largely played out by the time but the emphasis they gave to the synthesis of high and low arts and the German idea of Gesamtkunstwerk (arts at the center of daily life) were still influential in Vienna and to the young designer. Kiesler Foundation director Peter Bogner claims Kiesler synthesized the ideas of the European avant-garde from early Viennese modernism, Constructivism to Surrealism and through “transformation via American society to translate them into new cultural contexts.” In the 1930s he created a design theory he called Correalism that was meant to focus on the relationship between artwork, humanity, and the environment, and define his practice as an architect and exhibition designer. He spent a lifetime trying to merge or fuse the arts through the idea of the ‘endless.’ It all came together famously in his 1959 Endless House project. The exhibit covers Kiesler's category-spanning career from the 1920s through the 1960s and emphasizes his “theoretical deliberations and innovative inventiveness.” It features hand drawings, architectural renderings, models, private letters, and archival photos, many of which are displayed for the first time. Despite Kiesler’s life long passion for the worlds of art, city planning, and even exhibition curation, he had a practice that was unique by the standards of today's architecture world. Now most architects who have an interest in experimental form-making or even theoretical urban critique leave building practice and move full time into the world of art installations, writing, or drawings for the gallery. But Kiesler never gave up his desire to build: it was important to his concept of synthetic practice and he even became a registered architect in New York. In fact, while the Austrian is said to have only built only a single structure—the 1965 Shrine of the Book in Jerusalem—he actually realized a great many projects, including stage sets, gallery designs, furniture, and exhibition designs. He designed Peggy Guggenheim’s 1942 Art of the Century Gallery, New York department store showrooms and window displays, gallery shows, and large trade show exhibitions. 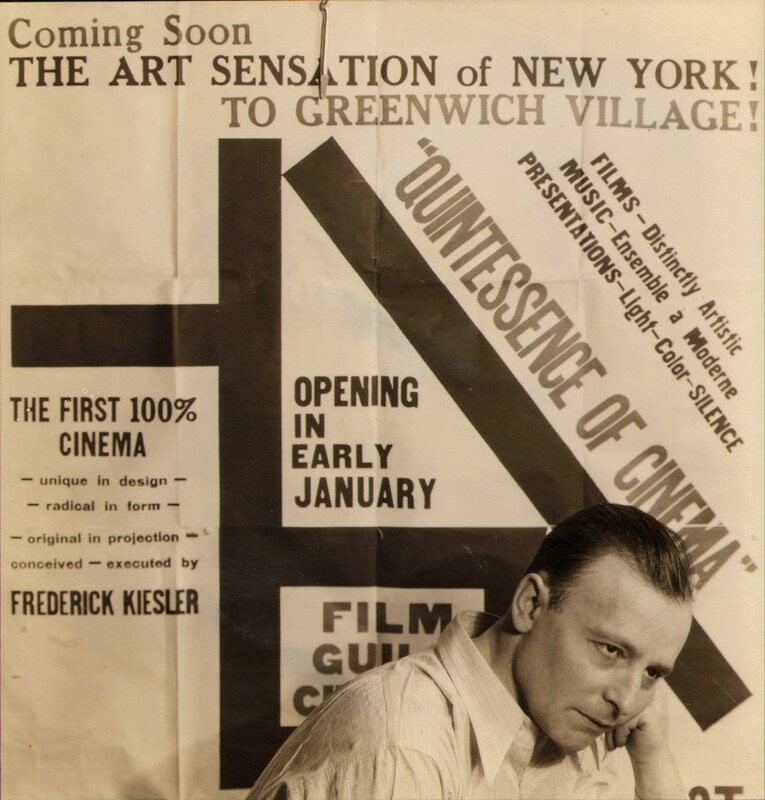 He taught at Columbia University and created a Mobile Home Library of rotating shelves, and in 1929, The Film Guild Cinema on 8th Street in Manhattan. The 8th Street cinema grew out of a life long connection of designing for the theater; his designs constitute a major section of the MAK exhibit. He worked on different scales and levels: for example, his electro-mechanical stage set experimented with optical mechanisms to manipulate vision for Karel Capek’s drama R.U.R. in 1923. The MAK has a model of a stage he created for the 1924 International Exhibition of New Theater, which had spiral ramps and top-level proscenium theater that demonstrated he was familiar with the Russian Constructivist avant-garde. It was advanced as anything coming out of the Soviet Union. His stage set for the Julliard performance of Cocteau/Milhaud opera in 1948 had a surrealist-inspired post and column sculpture that ended up as site-specific installation in Philip Johnson's glass house in 1947. Finally, he designed sets for Julliard and actual theater buildings for Woodstock (1931) and Brooklyn Heights (1926) that, if realized, would have been major landmarks in stage and theater design. Kiesler's radically inventive designs were often visionary in concepts but clearly unrealizable by definition. Yet his work was always what one would expect from an architect appropriate to the program at hand. Correalism may have evolved out of a 19th century utopian belief in the designer's ability to control the world, but Kiesler’s consistent vision for a new way of life, un-encumbered by the practicalities and certainties of the market place, are more relevant than ever in today's world of architecture practice. This show is not to be missed if you find yourself in Vienna. The exhibition at the MAK in Vienna is on through October 2, 2016. German-speaking Europe has a long history of vibrant international competitions for housing. Generally referred to by the acronym IBA, we can trace their roots all the way back to the Darmstadt Colony in 1901, and then 1927 and Weissenhof in Stuttgart and Bruno Taut’s 1932 Berlin Britz. IBA, or the Internationale Bauausstellung Berlin, was actually created in 1979 in Berlin. And it's still making waves today. Following this housing competition model, Vienna is launching its own version of the IBA and AN was there for the launch of the initiative. In Vienna, 60 percent of the population lives in some sort of public housing, and that number is growing. It's estimated that the city will need 35,000 units of new housing in the near future to keep up with demand. The city housing administration, lead by Wolfgang Foerster, is hoping the IBA will not just solve this housing shortage but also help fix technology issues and achieve political and social goals. It hopes to use IBA housing proposals to address larger issues such as sustainability, refugee and migrant demands, social mixing, and poverty. The city plans to construct hundreds and maybe thousands of new housing units before 2022. Today, Vienna IBA kicked off with a public discussion. And given Vienna’s tradition of adventurous housing, it will be something worth watching, particularly in New York where advocates and activists also have a history of trying to affect social policy through the provision of housing. 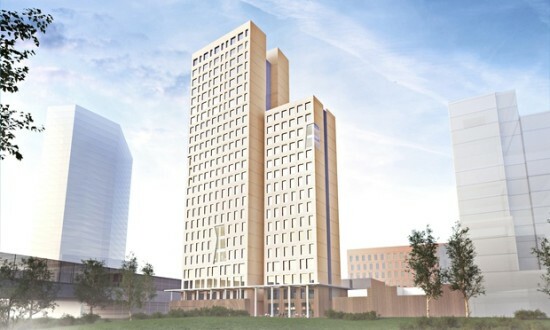 Last year, AN's Midwest Editor Chris Bentley reported on the advances being made in wood construction and how we were on the verge of seeing tall timber towers sprout up around the world. The AEC community has been talking about building high-rise structures with wood for years, but there obviously hasn't been a major revolution with the building type just yet—the tallest modern wood building doesn't even top 100 feet. 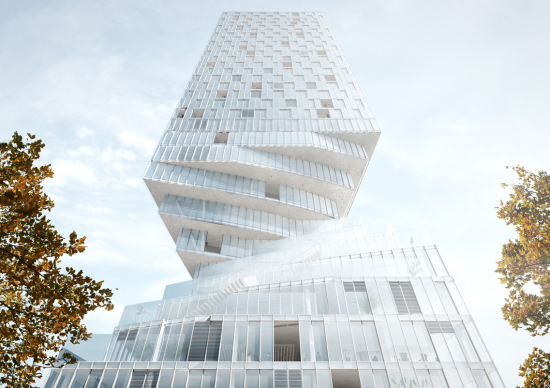 Well, that record is about to be shattered by a new tower in Vienna that could usher in a new era of high-rise development. The Guardian is reporting that a 276-foot-tall wood tower, known as the HoHo project, will start to rise in the Austrian capital next year. The designer of the project, Rüdiger Lainer and Partner, says the building will be made of 76 percent wood, saving 2,800 tons of carbon when compared to a similar concrete structure. Obviously, the creation of a wood building, especially a tall one, has people worrying about the elephant in the room: Fire. Since the building would be unprecedented, the Vienna fire service is reportedly working very closely with the architects to make sure everything is up to code and then some. “They have to carry out special tests on the correct combination of concrete and wood," a spokesperson for the fire service told the Guardian. "We also want to develop a more fail-safe sprinkler system. I expect they will pass the tests but if they develop the building as they say they will, it will be a serious project.” While somewhat counterintuitive, timber can actually be quite resistant to fire. As Bentley explained: "Heavy timber and cross-laminated timber actually have built-in fire protection; dense wood will burn slowly, charring instead of catching fire all at once. Part of bringing a wood building up to code is providing enough wood so that even after fire produces a 'char layer,' there is still enough left to support the structure." Each panel was a sandwich: two layers of glass with an air space between, all held in a metal frame. To cut the glare and heat of the sun, a coat of reflective chromium was placed on the inside surface of the outside pane of glass. 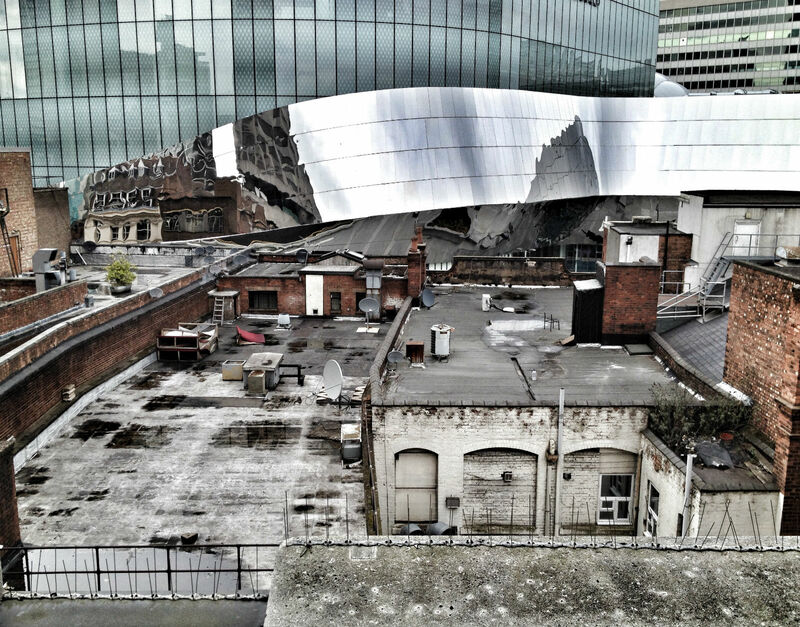 (This layer of chrome was what gave the building its mirror effect.) The window frame was bonded to the chrome with a lead solder. During the testing, it was noticed that when a window failed, the failure began when a tiny J-shaped crack appeared at the edge of an outside pane of glass. What was happening was this: The lead solder was bonding too well with the chrome—so well, so rigidly, that the joint couldn't absorb any movement. But window glass always moves. It expands and contracts with changes in temperature, and it vibrates with the wind. So the solder would fatigue and crack. The crack would telegraph through to the glass, and the cycle of failure would begin. Next we turn to Santiago Calatrava–the Spanish architect with a penchant for creating soaring buildings that are often accompanied by soaring budgets; for more on that, just Google Santiago Calatrava. Great. But right now let's focus on his Queen Sofía Palace of the Arts that opened in Valencia in 2005. The structure, which CityLab perfectly described as a mix between a bird's skull and a stormtrooper's helmet, had to be repaired because pieces of its tile mosaic facade were blowing off in high winds. And then just last year in London, two steel bolts the size of human arms dislodged from Richard Rogers' Leadenhall Building, which is better known as the "Cheesegrater." Thankfully, nobody was injured from the incident. But that's not the end of the Cheesegrater bolt story. As recently as last week, it was reported that a third bolt had fractured on the building. British Land, a developer of the building, said in a statement that the broken piece was "captured by precautionary tethering put in place last year." That's good. After some tests, it was concluded that "bolts had fractured due to a material failure mechanism called Hydrogen Embrittlement." Many bolts are now being replaced, but the developer insists there is, "no adverse effect on the structural integrity of the building." Now, let's head back stateside to Chicago. Do you remember that time the glass coating on the Willis Tower's observation deck cracked? If you were the tourists standing on the SOM-designed attraction 1,353 feet above the city you probably do. Sure, while everyone was fine and nothing was structurally wrong, just imagine being the people up there when that happened—just imagine that. Of course this list of high-profile architects would find its way to Frank Gehry. A while back the most famous architect of them all was sued by MIT for supposed flaws in his $300 million Stata Center. While pieces of the building didn't fall off, it was said to have leaks, cracks, and drainage problems. “These things are complicated,” Gehry told the New York Times after the suit was filed, “and they involved a lot of people, and you never quite know where they went wrong. A building goes together with seven billion pieces of connective tissue. 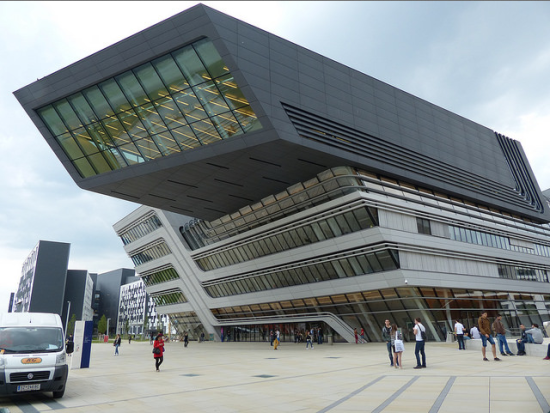 The chances of it getting done ever without something colliding or some misstep are small.” And now let's end this list where we started it, with Zaha Hadid. Just a year after her dramatic Guangzhou Opera House opened in China, it began showing problems—lots of problems. In 2011, the Guardian reported that "large cracks have appeared in the walls and ceilings, glass panels have fallen from [Opera House] windows, and rain has seeped relentlessly into the building." In fairness to Zaha, the Wall Street Journal noted that when it comes to construction practices in China, architects have little say. 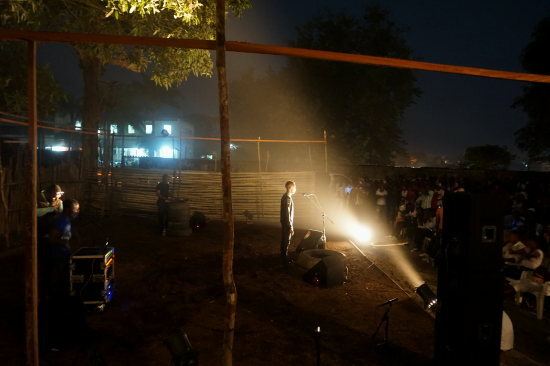 Studios Kabako, a Congolese theater and performance group, has won the Curry Stone Foundation's 7th annual Design Prize, which honors designers who use their craft for social good. The arts group was founded in 2001 by choreographer and director Faustin Linyekula, and uses theater, dance, and music to help communities imagine a life beyond hardship and violence. “Studios Kabako realized that in order to rebuild we must be able to envisage an alternative to the culture of destruction,” Emiliano Gandolfi, the prize director, said in a statement. “Faustin Linyekula’s work is manifesting how art should be the first design component in building a better society. With their performances they are exposing internationally the devastating effects of local conflicts, while in Kisangani they are assembling daily the building blocks for envisaging a sustainable future.” While Studios Kabako is based in Kisangani, where it offers youth programs in dance, video, cinema, music, and theater, the company also tours around the world. More than one third of the revenue collected from those performances is invested in the group's work in and around Kisangani. According to the Curry Stone Foundation, the organization is also currently working with Viennese architect Bärbel Müller to create two new buildings within its home city. The Curry Stone Foundation will provide Studios Kabako with a $100,000 “no-strings-attached” grant and produce a short documentary (above) about the organization's work. Studios Kabako is setting out on a tour of the United States and will be performing at the BRIC theater in Brooklyn on October 24th. 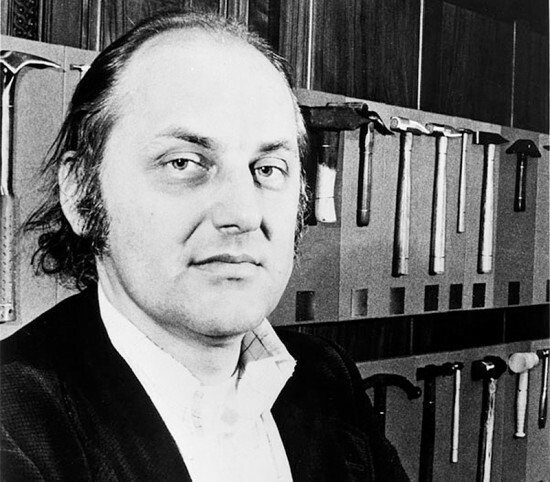 Pritzker Prize–winning Austrian architect, artist, engineer, and designer, Hans Hollein, has died at the age of 80. Born in Vienna in 1934, Hollein attended the Academy of Fine Arts, School of Architecture in that city and graduated in 1956. Following graduation he was awarded a Harkness Fellowship, affording him the opportunity to travel to the United States. He did graduate work at the Illinois Institute of Technology and completed his masters degree in architecture at the University of California, Berkeley in 1960. During those years he met and worked with Mies van der Rohe, Frank Lloyd Wright, and Richard Neutra. After graduate school, Hollein worked for architecture firms in the U.S. and Sweden, finally settling back in Vienna in 1965, where he completed his first solo commission, the Retti Candleshop, a small project that nonetheless won him international attention. He went on to design other significant projects, including the Richard L. Feigen Gallery in New York (1967–1969), the jeweler’s shop Schullin I and II (1972–1974, 1981–1982) and the “Section N” furniture shop (1971–1972) in Vienna, the Austrian Travel Agency in the Opernringhof (1976–1978) with its soon renowned ceiling-high brass palms as quotes of travelling, the interior design of the Museum of Glass and Ceramics in Tehran (1977–1978), and the New York branch of the Munich fashion house Ludwig Beck in the Trump Tower (1981–1983). Hollein regarded himself as an artist and theorist who rejected all divisions between the various fields from the very start. He designed art objects, exhibition designs (The Turks at the Gates of Vienna, 1983; Dream and Reality, Vienna 1870–1930, 1985, both in the Künstlerhaus Wien), stage sets (such as for Arthur Schnitzler’s Seduction Comedy at the Burgtheater), furniture, jewelry, door handles, glasses, lamps, and watches (for Alessi, Munari, a.o.). His favorite maxim was, “Everything is architecture.” In 1972, he represented Austria at the Venice Biennale with his installation Work and Behavior, Life and Death, Everyday Situations. He was Austria’s commissioner for the Venice Art Biennale from 1978 to 1990 and commissioner of the Venice Biennale for Architecture in 1991, 1996, and 2000, as well as its director in 1996. As guest professor at numerous American universities, professor at the Staatliche Kunstakademie Düsseldorf (1967–1976), and head of the masterclasses for industrial design (1976–1979) and architecture (1979–2002) at the University of Applied Arts in Vienna Hollein was also highly esteemed as a teacher. Hollein also designed museums. The Abteiberg Museum in Mönchengladbach (1972–1982) set new standards in the field. The building realized for the Museum of Modern Art Frankfurt (1983–1991) is equally sensational. He also designed the spectacular, prize-winning, yet ultimately unrealized scheme for the Guggenheim Museum in Salzburg’s Mönchsberg (1989). The same was the case with the Guggenheim Museum planned for Vienna (1994–1995). Hollein’s further competition designs include his submissions for the New National Theatre of Japan (1986, second place), the Wald Disney Concert Hall in Los Angeles (1987–1988, second place), das Compton Verrney Opera House (1988–1989, second place), the Guangdong Museum for Arts and Nature in Guangzhou (2004), the Sheik Zyed National Museum in Abu Dhabi (2007), and the Meixi Lake International Culture and Arts Center in Changsha, China (2011). Hollein’s entire body of work is characterized by the presence of quotations, like the outsized tobacco leaf on the facade of his tobacconist’s front near the Haas House (1991–1994), the palms in the Austrian Travel Agency office, or the often recurring columns, which earned him the "postmodern" label.